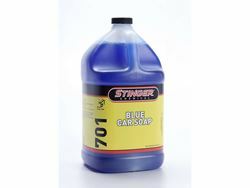 Stinger's Blue Car Soap is a concentrated blue liquid car soap that produces a stable foam that safely lifts dirt and traffic film from all paint surfaces. Can be diluted up to 1:160. Available in gallons, 5 & 55 gallon containers.